Sautéed sweet, briny fresh shrimp with a spicy, healthy, slaw with mango, tomato, and avocado, well it just doesn’t get much more delicious than this! I know you know I love shrimp! I had a friend teasing me about that just the other day, and she wanted to know when my next shrimp recipe would be posted. And, surprise, surprise, here it is! 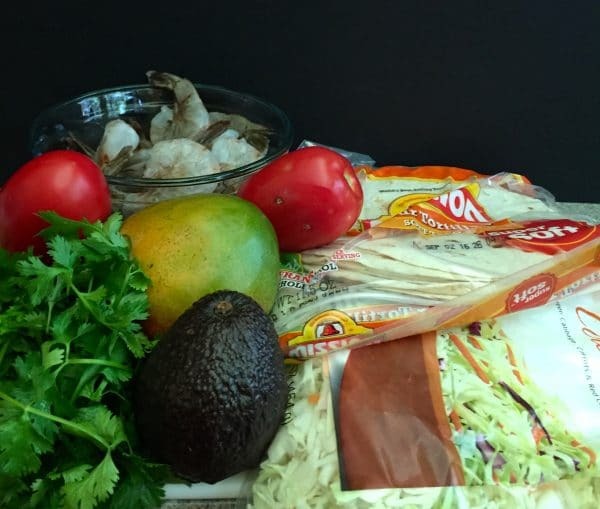 Sauteed sweet, briny, fresh wild caught shrimp straight from the Gulf of Mexico, with a spicy, healthy, mango slaw filled with fresh cabbage, mango, tomato, and avocado, well it just doesn’t get much more delicious! I also love the fact that this is a one-dish meal. All the basic food groups packed into one neat, flavor-packed bundle! 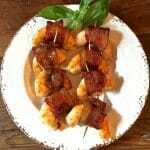 If you like shrimp like I do, you might also be interested in these quick and easy shrimp recipes: Shrimp and Blue Cheese Pasta, Southern Shrimp and Corn Fritters, and Brown Sugar Glazed Bacon Wrapped Shrimp. 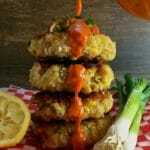 Want even more shrimp and seafood recipes, check out my Recipe Index for all of my seafood recipes. 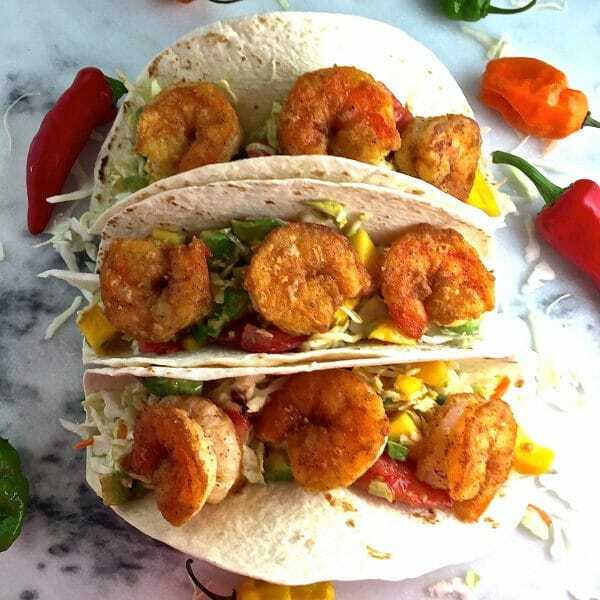 The ingredients are fresh wild caught shrimp, prepackaged coleslaw, flour, hot sauce, chili powder, sugar, kosher salt, ground cumin, lime juice, garlic salt, olive oil, a mango, diced tomatoes, a jalapeno pepper, tortillas, and an avocado. If you are ready to make these delicious tacos, gather your ingredients. To saute the shrimp add flour, salt, pepper, chili powder, cumin, and garlic salt to a large Ziploc bag. Shake to combine and add the shrimp. Shake again to coat the shrimp. Add the olive oil to a large frying pan over medium-high heat. When the oil is hot, add the shrimp in a single layer and do not crowd them. 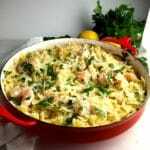 Depending on the size of your pan and the size of your shrimp, you may need to cook them in batches. Cook the shrimp for a total of 3-4 minutes, or until golden brown on both sides. Again, depending on the size of your shrimp, it may take a few more minutes or a little less time. Just watch them carefully. 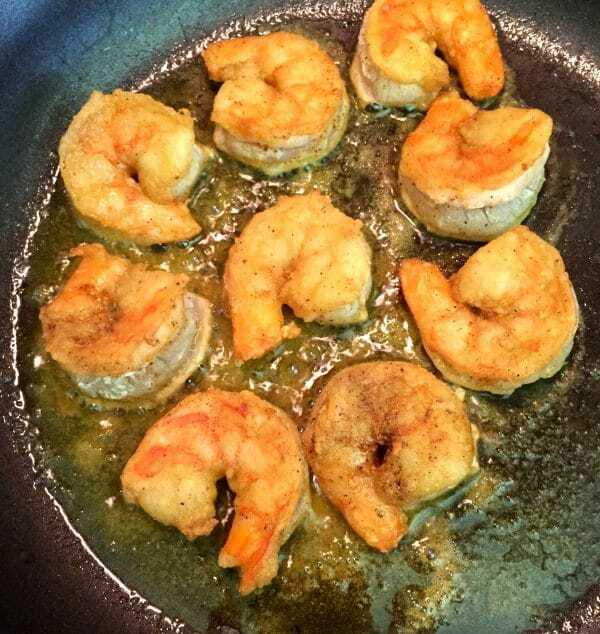 Remove the shrimp from the pan and let them drain on a paper towel. 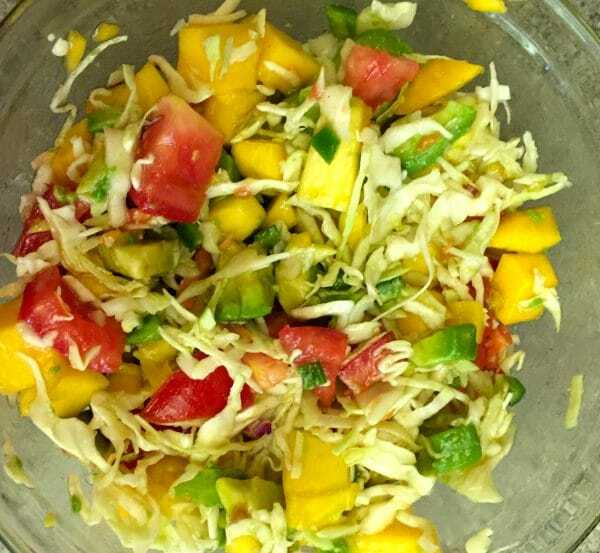 To prepare the Mango Slaw, add the coleslaw, cubed mango and tomato to a large bowl. Mix well. Whisk together the hot sauce, sugar, salt, cumin, lime juice, and jalapeno in a small bowl or shake together in a mason jar. Add olive oil and whisk or shake again. Pour about 1/2 of the dressing over the mixture and mix well. Add more dressing if needed. Add the avocado cubes and toss gently. Follow the directions on your package of tortillas to warm your tortillas. 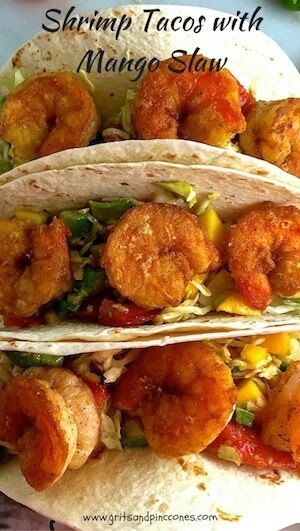 To assemble the tacos, put a large scoop of mango slaw on a tortilla and top with shrimp. Repeat for the remaining tacos. Serve immediately! Enjoy! Sauteed sweet, briny fresh shrimp with a spicy, healthy, slaw with mango, tomato, and avocado, well it just doesn't get much more delicious than this! 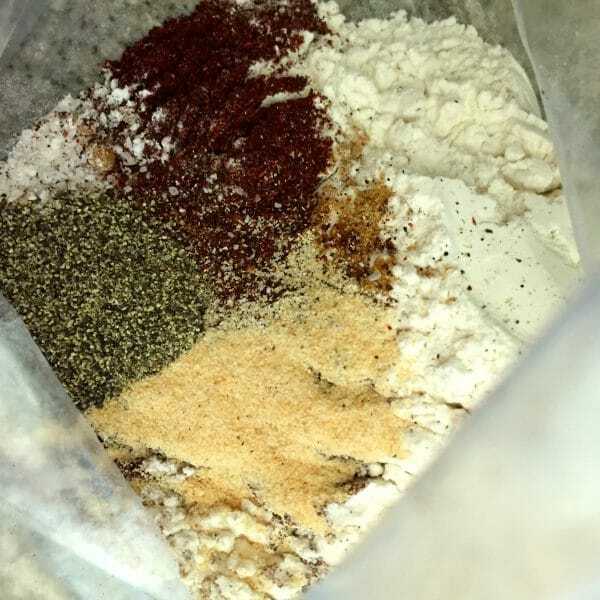 Add flour, salt, pepper, chili powder, cumin, and garlic salt to a large Ziploc bag. Shake to combine and add the shrimp. Shake again to coat the shrimp. Add the coleslaw, cubed mango and tomato to a large bowl. Mix well. Whisk together the hot sauce, sugar, salt, cumin, lime juice, and jalapeño in a small bowl or shake together in a mason jar. Add olive oil and whisk or shake again.